These classic eclairs are a crowd-pleaser. Best served at most a few hours after filling, they should still have a somewhat crunchy outer shell filled with custardy pastry cream inside. As far as eclairs go, the recipe is quite simple, using choux pastry, pastry cream, and a white chocolate glaze. 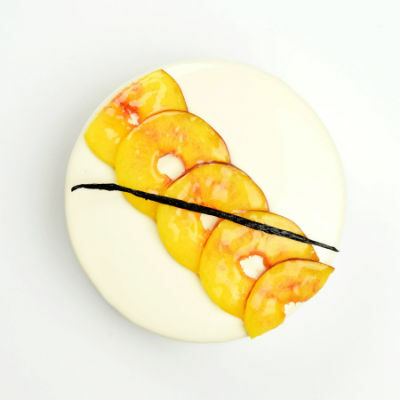 If you have not already, read how to make pastry cream for a more in-depth tutorial of the techniques for making this component. Cream the egg yolks with the sugar until light and fluffy. Whisk in the corn starch and flour. Heat the milk and vanilla in a saucepan until just starting to simmer. Add 1/3 of the milk into the egg yolks to temper. Stir and add another 1/3 of the milk. Then the final 1/3. Return the liquid milk + yolks into the saucepan and heat until the cream has thickened. 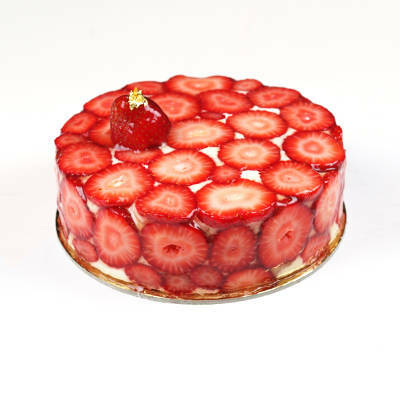 Remove from the pan into a bowl and chill the pastry cream over an ice bath or in the refrigerator. While the pastry cream is chilling, whip the heavy cream to stiff peaks. When the pastry cream is cool, fold in half of the whipped cream until just combined. Then fold in the remaining half. If you have not already, read how to make choux pastry for a more in-depth tutorial of the techniques for making this component. Heat the milk, water, salt, and butter until just steaming. Working quickly, add all of the flour at once and stir to bring all of the ingredients together. Continue cooking for about 1 minute to drive out some extra moisture. 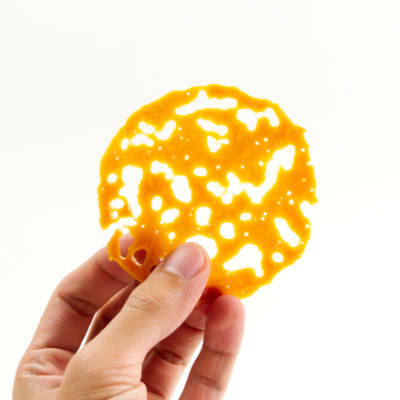 Transfer this dough to a bowl (or a stand mixer if using). Wait a few minutes for it to cool down before adding in the eggs. Working one at a time, add each egg to the dough and beat to fully incorporate. When the dough is silky and falls from the spoon under its own weight, remove it from the bowl and put into a piping bag. Using a silicone mat or parchment paper on your pan, pipe 6-inch (15 cm) strands. Take into account they they will puff up, so keep them thin. 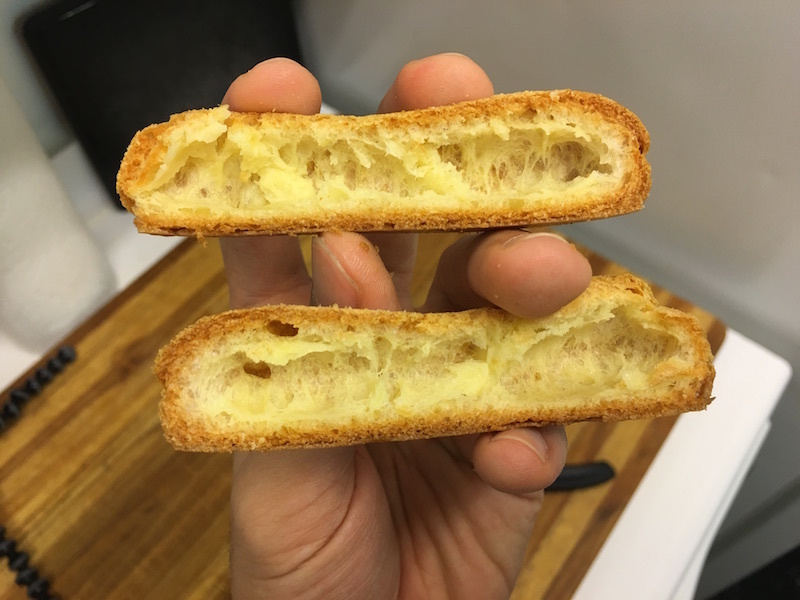 Apply as consistent pressure as you can and avoid the "bone" shape, where the start and end of the eclair are wider than its base. Going slowly helps to apply even pressure when piping. Bake at 360 F (182 C) for about 30-35 minutes until choux are evenly brown and slightly crispy. Set them on a cooling rack to cool. Simply melt the chocolate using a double boiler or 30 seconds followed by 10-second bursts in the microwave. Tempering the chocolate is not necessary here. Keep this warm until ready for glazing. 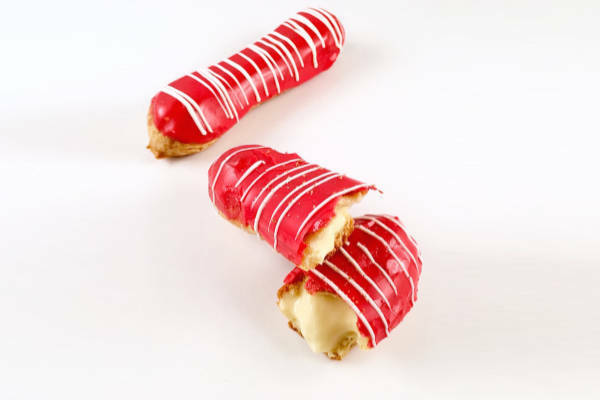 Using a toothpick, make two holes on the top of the eclairs on opposite ends. Insert the tip and gently squeeze until you just see the pastry cream reach the other side. Wipe the edges clean of any excess. 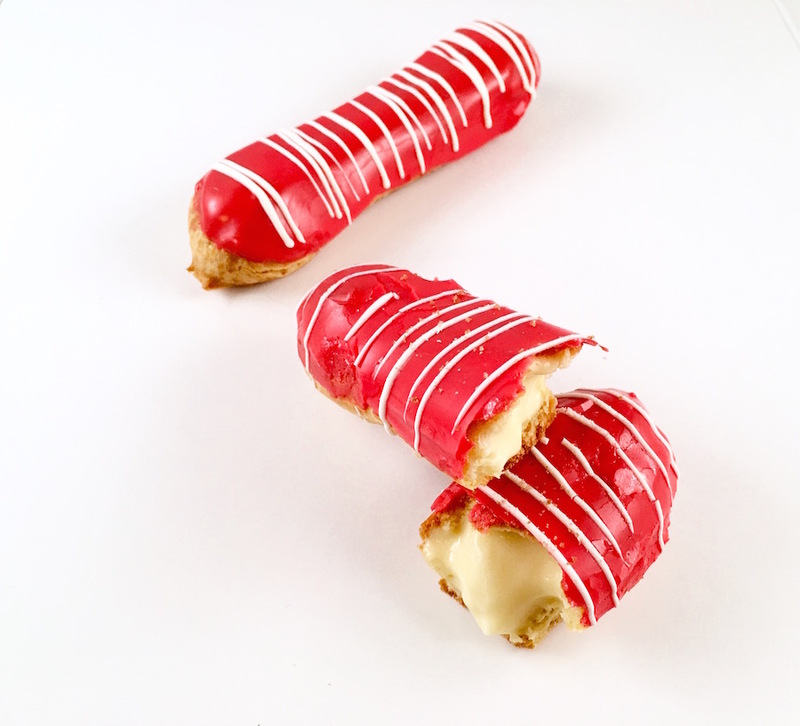 Dip each filled eclair into the glaze so that it fully covers the top half. Use your finger to clean up any imperfections. Enjoy the custard goodness inside shortly after being filled. While they will last several days in the refrigerator, they will get soft and soggy. 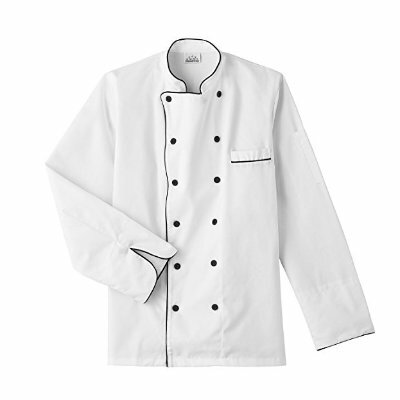 After all that work, don't settle for soggy.